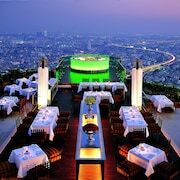 What are the top landmarks in Bangkok? With cheap hotels, diverse food, and cut-price clothing to bring in the back-packers, this street also offers fun, noise and eclectic cultural mix. A city-within-the-city, this palace is a fabulous concoction of temples, halls, pagodas and royal residences that took two centuries to build. Young or old, to keep fit or kick your heels, if you want to breathe easy in Bangkok, you come to Lumphini Park. 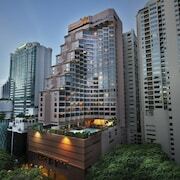 Will be back in Bangkok again in a couple of months and will definately check in at The Continent Bangkok. 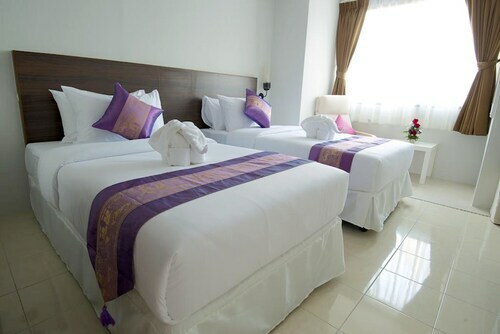 Located in the centre of Bangkok, excellent for BTS and MRT stations (5 minute walk).Great room rate, clean rooms, very good staff. We enjoyed our stay at this traditional Thai hotel with beautiful views of Wat Arun and close to main tourist sights of Bangkok. Very helpful and accommodating staff,both receptionists and general hotel staff were very nice and helped us navigate our way around Bangkok especially Yoko and Alisa. 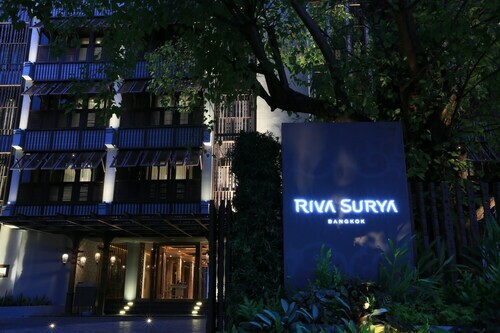 This is a wonderful little boutique hotel by the river in Bangkok, with very friendly and helpful staff, and where facilities are great. Some of the best kinds of vacation destinations offer nearby beaches, captivating nightlife, and fascinating cultural attractions. And Bangkok, Thailand, features this and more. Located on the southern coast of Thailand, it’s the nation’s most populated city. This colourful community packs a lot in, from temples and palaces to shopping districts and entertainment centres. On your next holiday to this cultural hub, experience it all. If you’re looking to visit the temples, you have a variety to choose from, such as Wat Pho, Wat Arun, and Wat Saket, just to name a few. Venture over to the temple of Wat Traimit to take a peek at the Golden Buddha, and then head to the Grand Palace, which dates back to the 16th century. Prefer a little more liveliness? Check out the nightlife scene along Patpong and Khaosan Road, and explore the theatres, clubs, and recreational activities in Ratchadaphisek. During your holiday in the country’s capital, do a little shopping in Siam Square and don’t miss the amusement park rides at the entertainment complex on Ramkhamhaeng Road. 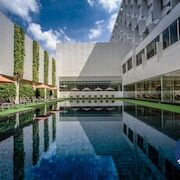 Whether you’re in town to get a dose of culture or to party it up at the go-go bars, your Bangkok holiday is one that will go down in the history books. A vacation to southern Thailand shouldn’t break your budget. 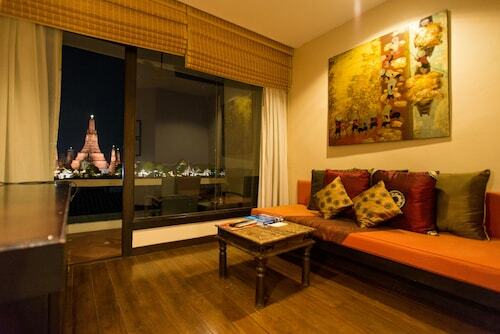 Here at Expedia.co.nz, we offer cheap deals on Bangkok accommodation, so you can book a place and have money to spare. Browse through a vast selection of lodging to find your perfect match. Looking to stay near the terminals? 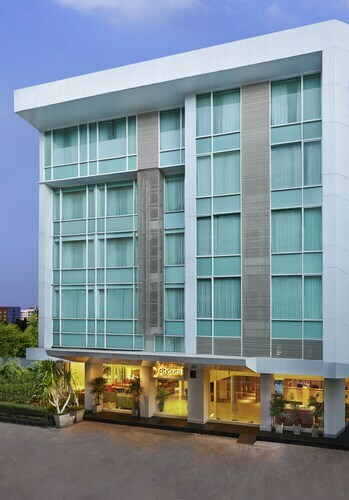 Pick one of our convenient Bangkok airport hotels. Rather stay in the heart of the action? 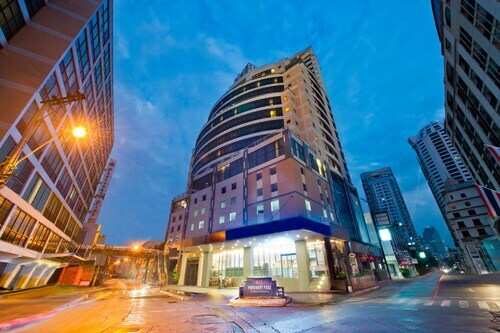 We feature hotels within walking distance of the Patpong Night Market and lodging overlooking the Siam Paragon Mall. 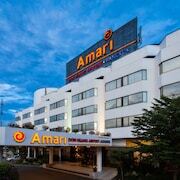 From motels to luxury hotels in Bangkok, we’ve got your stay covered. When you’re choosing the best time to visit Bangkok, keep in mind that the temperatures generally stay above 30 degrees C all year round. The city does have a rainy season though, which tends to last from May to September. Once you’ve set a date, book your flight to Suvarnabhumi Airport (BKK) or Don Mueang International Airport (DMK). BKK airport is located just 30 km east of the city centre, while DMK airport is roughly 30 km northeast. Once you land, hire a Bangkok car rental, hail a taxi, or ride public transportation to the city. 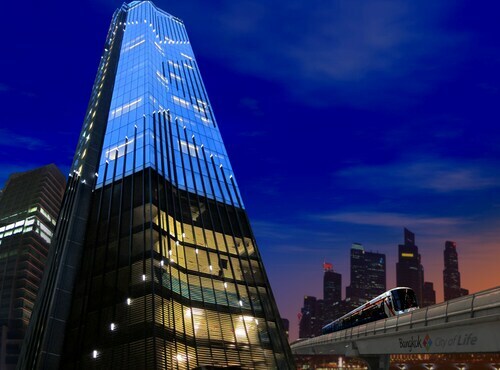 You can hop on the Airport Rail Link from BKK or ride the public buses from either airport. What are you waiting for? 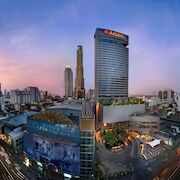 Book of one of our cheap deals on Bangkok hotels to get your holiday started, and forget about giving your bank account a second thought. Our deals let you rest easy knowing you have more money to spare at the Patpong bazaar. When you bundle your lodging, airfare, and rental car into one of our vacation packages, you’ll score even more savings. Make your reservations today and start practicing your Thai! 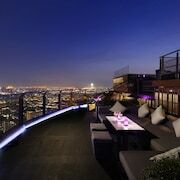 Explore Bangkok with Expedia.co.nz’s Travel Guides to find the best flights, cars, holiday packages and more!